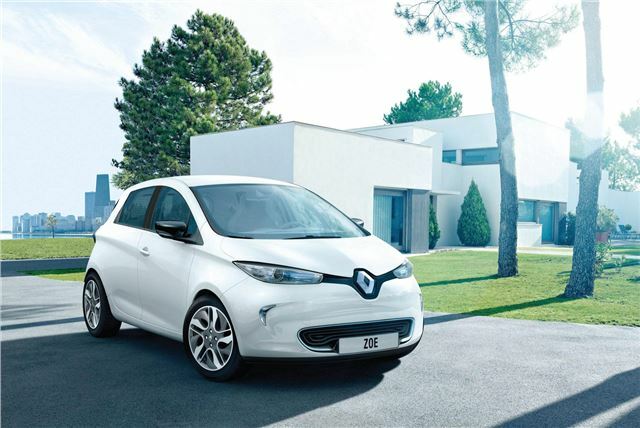 Renault has announced prices of its 5-door Zoe electric hatchback and they start from just £13,650. Renault’s new supermini ZOE is available to reserve now ahead of its UK showroom launch in Spring 2013. The Zoe is stylish, affordable and incredibly versatile – perfect for commuting, supermarket and school runs, and for households who want to downsize their engine and carbon footprint. With an NEDC homologated range of up to 130 miles and an on-the-road price from just £13,650, ZOE is the first affordable car for everyday use to have been designed from the ground up as an electric vehicle. ZOE offers the industry’s most advanced technology, including no fewer than six ‘world premiere’ features and 60 patents designed to deliver user-friendliness, range and connectivity. The hotly-anticipated Renault comes in the wake of the Fluence Z.E. saloon, Kangoo Van Z.E. and the innovative urban runabout Twizy to make zero emission mobility a reality for ordinary motorists – one of the pledges of Renault’s 'Drive the Change' signature. ZOE is also the first Renault vehicle to be presented with new multimedia system, Renault R-Link. To enable drivers to control its functions without taking their eyes off the road, R-Link features a large seven-inch display, steering wheel-mounted controls and voice recognition. It also delivers integrated connectivity with motoring services and applications available from the R-Link Store. The choice of colours and materials for one of the ZOE versions, Dynamique Zen, recalls purity and wellbeing: white, blue and chrome, with a light coloured interior ambiance. ZOE Dynamique Zen is fitted with ‘Take Care by Renault’ equipment as standard with active scent diffuser, ioniser and toxicity sensor together with Teflon seat protection. Its agile, dynamic looks express driving enjoyment, while its signature headlights feature LEDs that permanently light up recesses situated either side of the front air intake. Like Twingo and Twizy, ZOE features the Renault brand’s new design identity. For more information and to reserve your Renault ZOE for just £49 visit www.renault-ze.com. By reserving online, customers will be offered exclusive updates, priority to test drive at one of our events and invitations to Z.E. events.